Google has given the world a glimpse of its vision for letting people look at life through internet-tinted glasses. A video posted at a Project Glass page at Google+ social network confirmed the rumour that the technology titan is working on eyewear that meshes the online world with the real world. “We think technology should work for you – be there when you need it and get out of your way when you don’t,” members of the project team said in a Google+ post. 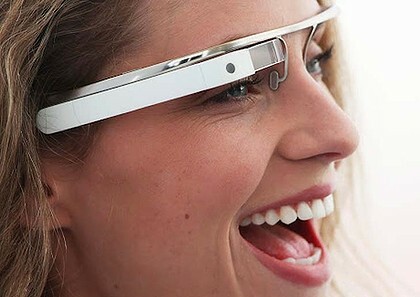 Google plans to release Android-powered internet glasses with a heads-up display. Images showed people wearing eyeglasses with stylish silver frames that featured tiny cameras and on-lens displays to discretely show information such as walking directions, weather forecasts or messages from friends. Built-in microphones let wearers command the internet-linked glasses by speaking. “We took a few design photos to show what this technology could look like and created a video to demonstrate what it might enable you to do,” Google said, stressing that the glasses were a concept far from being brought to market. The project team invited people to express ideas for the glasses at the Google+ page. Google co-founder Sergey Brin is deeply involved with the California company’s X Labs, best known for its work on a self-driving car. A YouTube video of legally blind Steve Mahan “driving” an autonomous Google car in his California neighborhood has been viewed more than 1.2 million times since it was uploaded on March 27. General view of Microsoft Corporation new headquarters in Issy-les-Moulineaux, near Paris October 6, 2009. SEATTLE (Reuters) – Microsoft Corp co-founder Paul Allen relaunched a wide-ranging patent lawsuit against Apple Inc, Google Inc, Facebook and others with specific allegations that the companies are illegally using technology owned by his company. Interval Licensing LLC, a small research company set up by Allen in 1992, originally filed a broad patent suit in federal court in Seattle in August, but Judge Marsha Pechman dismissed it on the grounds that it did not specify any actual products or devices. The revised suit was filed by Interval on Tuesday. Allen, who co-founded Microsoft with Bill Gates in 1975, claims Interval was central to research and development of technology in the Internet arena in the 1990s, amassing more than 300 patents and providing research assistance to Google. In the suit, Allen’s company claims four of its patents — chiefly related to the way Web data is sorted and presented — have been infringed by a number of successful companies. The first patent concerns the generation of data related to information being browsed. Interval claims Google uses this technology to match advertisements from third parties to content being displayed, while AOL’s sites use it to suggest items related to news stories. Interval claims Apple’s iTunes service uses the technology to suggest music based on a user’s searches, and that eBay Inc, Facebook, Netflix, Yahoo Inc and Office Depot’s sites have also infringed the patent in the way they direct users to related content. The second and third patents concern relaying information on a computer screen in a peripheral, unobtrusive manner, such as in an instant messaging box or overlay. Interval claims its patent has been infringed by features in AOL’s Instant Messenger, Apple’s Dashboard, Google Talk and Gmail Notifier, Google’s Android phone system and Yahoo Widgets. The fourth patent concerns alerting Web browsers to new items of interest based on activity of other users. Interval claims AOL uses this technology on its shopping sites, while Apple’s iTunes uses it to recommend music. Interval claims eBay, Facebook, Google, Netflix, Office Depot, Staples Inc, Yahoo and Google’s YouTube all have infringed the patent in the way they suggest content to users. The suit makes no mention of Microsoft as a patent holder or infringer, even though Allen’s former company offers products similar to some described in the suit. A spokesman for Allen declined to comment on the suit. Allen, 57, is the world’s 37th richest person, according to Forbes magazine. He resigned as a Microsoft executive in 1983. Since then, he has funded scientific and medical research through his Paul G. Allen Family Foundation and invested in many projects in his native Seattle and Pacific Northwest region. Interval has asked the court for damages and a ban on products that use the disputed patents. It is unclear how seriously the court, or the companies he has targeted, will take Allen’s legal charges.